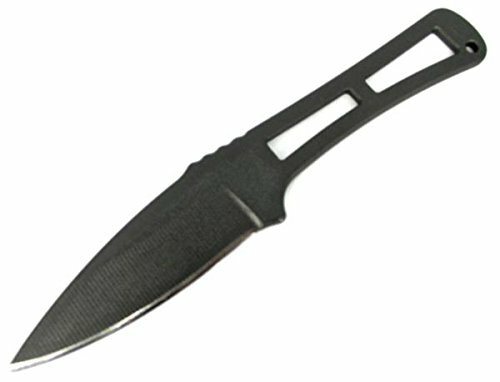 The Utsidihi (Cherokee title for "mankiller") is a low profile, full handled fixed blade designed for deep concealed carry. The Utsidihi is made of Nitro-V with a 3 3/8 " blade and skeletonized handle. It comes with a black Kydex sheath. Overall Length: 7 3/4"; Blade Length: 3 3/8"; Blade Thickness: 1/8"
Blade Finish: Tungsten Cerakote; Handle Length: 4 3/8"
If you have any questions about this product by RMJ Tactical, contact us by completing and submitting the form below. If you are looking for a specif part number, please include it with your message.